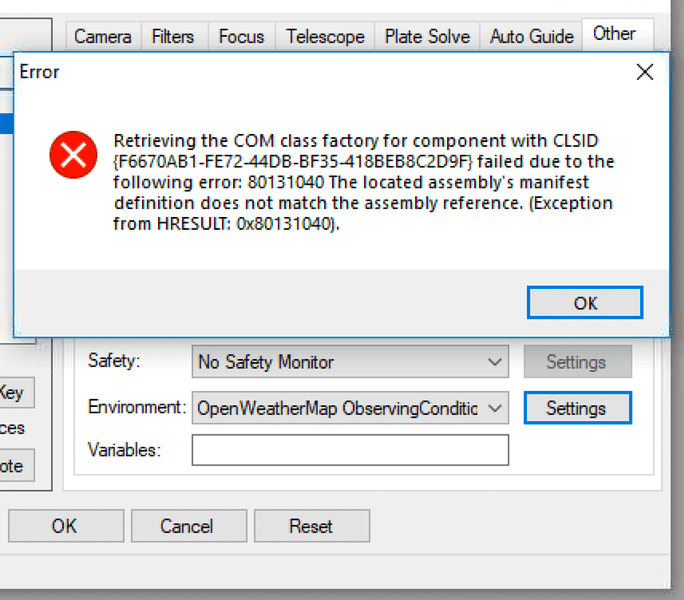 I’m unable to use the OpenWeatherMap feature within the software. I’ve tried researching, but haven’t found a fix yet - I’m still on my trial of the software (my first problem has been ignored, hoping this isn’t indicative of a trend with the company). The error indicates a problem with the .Net subsystem, installed on your computer, and\or problems with the registry. Are there any entries in the Windows event logs, especially System and Application logs ? To identify the component that is generating the error, you need to open ‘Component Services’ and find the CLSID number.